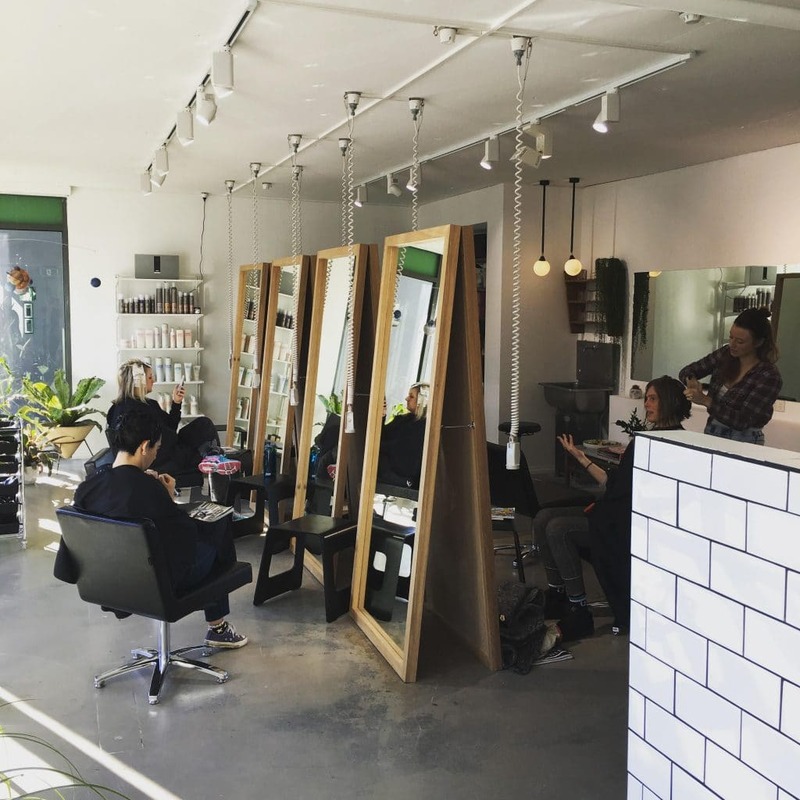 Delilah Hair Studio has been providing a cutting edge hairdressing service in Brunswick East since 2007. We’re happy to say that the Brunswick East area reflects the vibrant and creative atmosphere of our hairdressing salon. Founder of Delilah Hair Studio, Adrian Panayiotis has used all of his experience and passion to create a truly remarkable hairdressing experience. 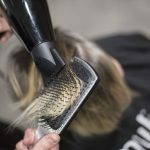 The knowledge he has gained while performing educative roles at PPS Hearwear and Babyliss pro has informed the way he structured his salon and chose his team – all from some of the top salons in Melbourne. At Delilah Hair Studio we pride ourselves on staying at the forefront of styling technologies. We never rest on our laurels and are always looking to push the envelope and find the best way to achieve our client’s dreams. This attitude and commitment to the contemporary has given us a strong standing in the Brunswick East area. Our salon has a stellar reputation, something we have worked hard on maintaining for the years we have been here. No job is too big or too small, we have mastered the art of many different types of hairdressing, possessing a high energy and strong attention to detail. We prides ourselves on passion, creativity and a love of hair. There are many reasons to choose Delilah Brunswick East hairdressing for all your cutting and styling needs. Our experience and versatility can assist you in achieving any hair style you want, granting you whatever advice you may need. Our team has over 30 years of collective experience, all bringing something unique to the table. Our stylists pride themselves on being friendly and attentive, wanting nothing more than to have you leave, feeling your very best. Hair Cutting and Styling: Your hair cut and style can influence your whole look. Get the look you deserve at Delilah. We’re here to turn your vision in into a reality and give you a style that will put a bounce in your step. 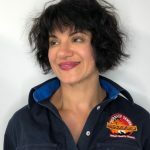 Curly Hair Cutting: Put down your flashlight and call off the search – because you’ve just found your new curly hair specialist in Melbourne! We have over 30 years of experience taming all types of curls with our dry-cutting expertise and guarantee your locks will look more luscious than ever before after stepping through our curly hair salon doors. 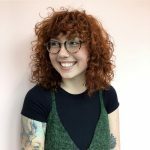 Dry Hair Cutting: If you want the perfect hair styling experience, it might be time to consider dry cutting. The typical salon experience involves colour, wash, cut, blow wave. But there is another option—have your hair cut and styled while dry. Hair Colouring: From highlights and balayage, right through to ombre, our hair colouring expert can create the exact colour you’re after. Best of all, our colours are designed to last, full of vibrancy and bounce, for weeks on end. Hair Up-dos: Regardless of what special occasion you might need to attend, we can create an up-do guaranteed to turn heads. We can recreate a whole range of celebrity looks from scratch, or design something brand new, just for you. Blow Waves: A good blow wave should never be under-appreciated. With a blow wave from Delilah, one of the best hair salons in Melbourne, we’ll ensure your hair is softer than it ever has been. We can tame your hair to perfection so that it has volume for days on end. Keratin Smoothing: At Delilah, we’re proud to be known as one of Australia’s best salons for our hair straightening treatment. Our Melbourne stylists have all the skill and experience you could ask for, but what sets us apart is our progressive approach to straightening. Hair Treatments: If your hair is just not feeling 100%, come along to Delilah Hair Studio. Whether it’s feeling washed out, tired, dry or has just lost its lustre, we can provide a hair treatment to get your hair back to its best. Permanent Hair Straightening: This is one of our specialties; we have people visit our Melbourne studio from all over Australia to have thermal hair straightening performed by our experts. Wedding Hairstyles: Your wedding is the day is one of the most important of your life. Delilah does everything possible to make your wedding day as stress-free as possible. With our in-depth experience, we can answer all your questions, and you can have plenty of trials before your big day. For more information, or to book an appointment, please contact our friendly team.